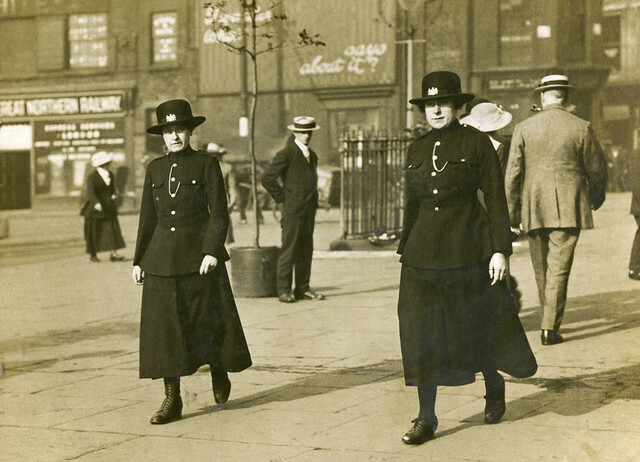 This is the earliest image of uniformed female policing in our archives. Eliza Jane Ashworth pictured (right) on patrol with a colleague in 1917. She was one of a number of Manchester City Police’s female staff to be given uniform and allowed to patrol certain locations. Clara Walkden, the first sworn female constable in what is now the Greater Manchester Police area. 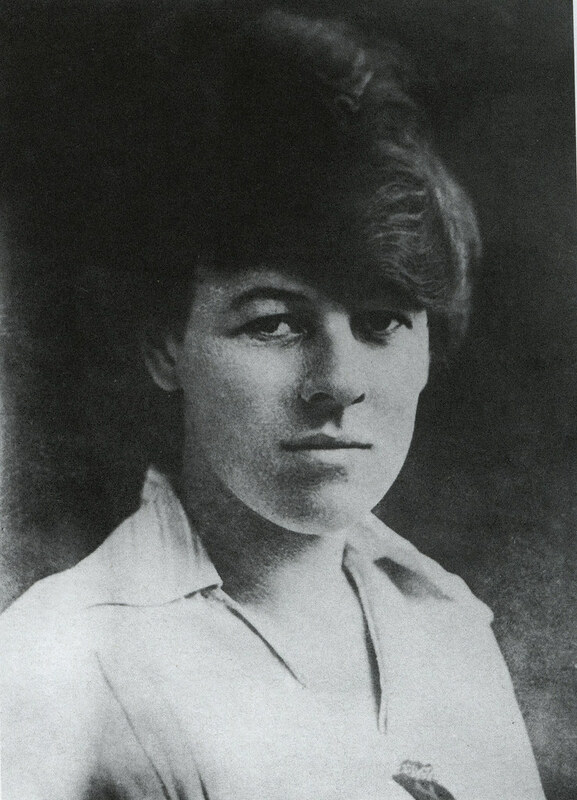 Clara joined Oldham Borough Police in 1921 and pioneered a path that thousands of other women would follow. 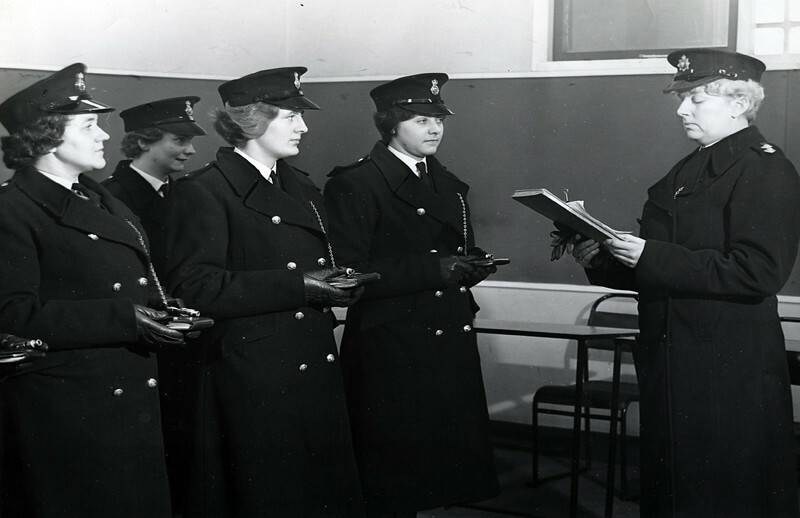 Female officers of Manchester City Police are inspected and briefed prior to starting duty in 1963. 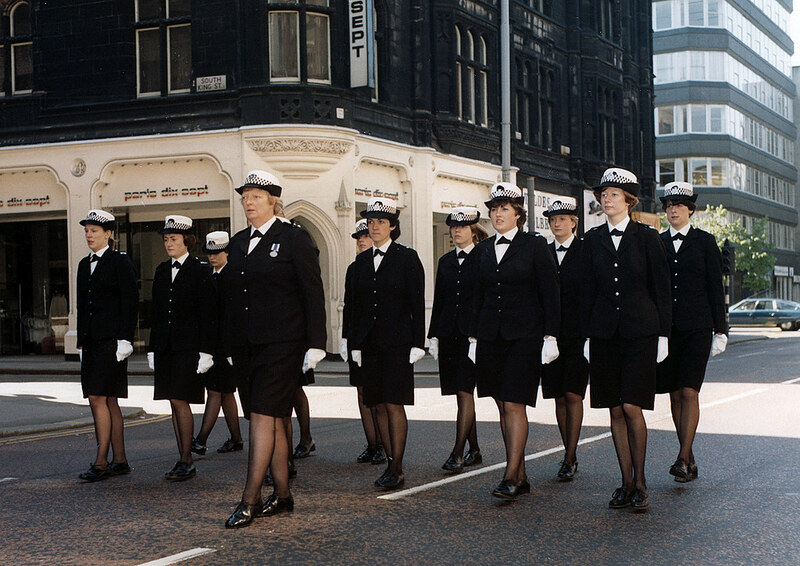 A group of female police officers parade down Deansgate, Manchester, in the 1970s. Two Greater Manchester Police officers strike a pose for the camera in one of a series of image intended to be used in a recruitment campaign in 1977. Greater Manchester Police firearms officer in training. The Tactical Firearms Unit is part of the Force's Specialist Operations Branch. Greater Manchester Police has carried out a large crime reduction operation on one of Manchester’s busiest nights of the year. 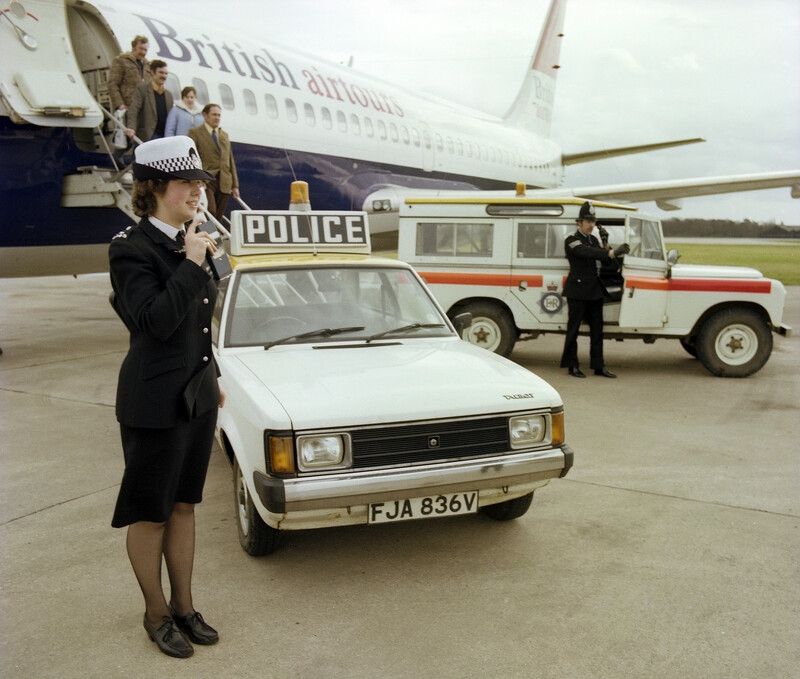 This image, which dates from 1979, is part of a series Greater Manchester Police produced for a recruitment campaign. 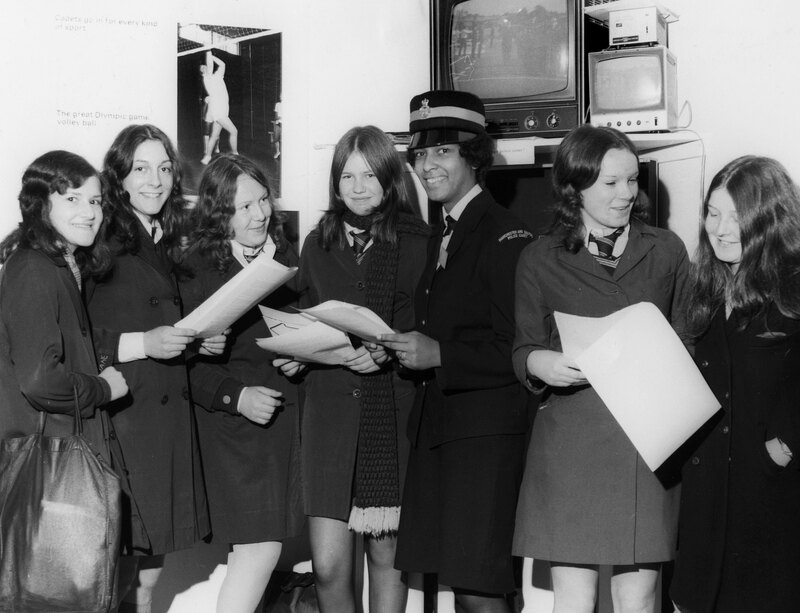 Manchester and Salford Police Cadet Ruth Harding smiles for the camera at a recruitment event - possibly at Belle Vue - in 1972.